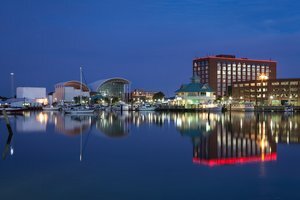 Discover the variety of things to do in Hampton, Virginia and the surrounding region! The Hampton Marina Hotel boasts a central location on the waterfront, just a short drive from Virginia Beach and Busch Gardens Williamsburg. Discover three miles of boardwalk and soft sandy beaches where the Chesapeake Bay meets the Atlantic Ocean. Swim in the ocean, discover marine life at the Virginia Aquarium & Marine Science Center, or pay a visit to the beachfront First Landing State Park. 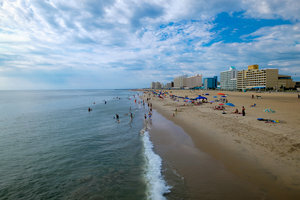 Virginia Beach is waiting less than a 30-minute drive away! 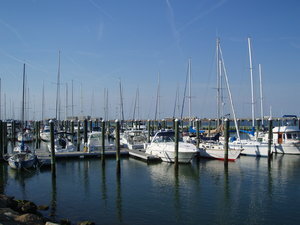 Just steps from your room is the picturesque Hampton Marina with dozens of docked boats and shimmering waters. Board the Miss Hampton II to sail the Hampton River for yourself and experience one of our guests’ favorite things to do in Hampton! Drive just 10 minutes to the best family beach in Hampton! Offering a stunning showcase of the Chesapeake Bay, beachgoers can rent kayaks and paddleboards, take a Jet Ski tour of historic sites, or relax with a picnic. 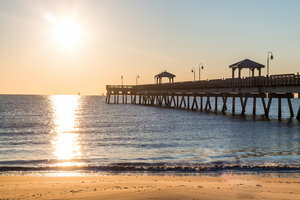 We recommend hunting for beautiful sea glass or fishing off the iconic pier. Attend a show at this renovated theatre built in 1908! 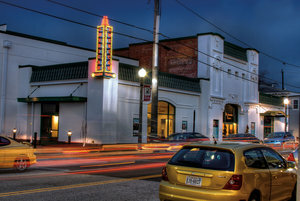 The American Theatre features musical events, comedy shows, award-winning plays, and film projections. This intimate and classic venue is perfect for an evening out. 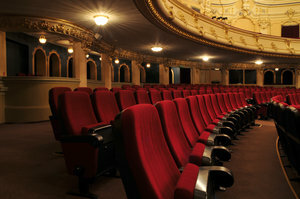 The theatre is just a 7-minute drive from our hotel. Come hungry to your next movie night. 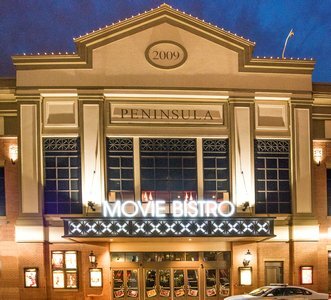 Watch a new blockbuster with classic in-theater dining at Peninsula Studio Movie Grill. The fresh entrées and hand-crafted cocktails are delivered directly to your seat before showtime! The theatre is just 15 minutes from our hotel. Spend an afternoon with hands-on space exhibits and an IMAX movie from NASA! 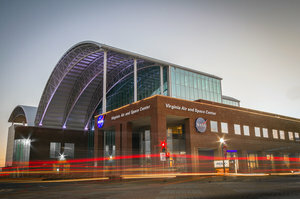 One of our favorite family attractions, the Virginia Air & Space Center promises an afternoon of fun for the whole family and is next door to Hampton Marina Hotel. Read more about visiting NASA! 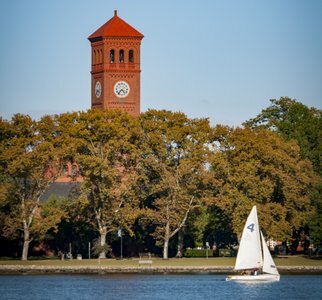 Located directly across the Hampton River is the Hampton University campus. Visit Emancipation Oak, tour historic buildings, and learn about the college’s unique history from a student guide. The Hampton Marina Hotel is the closest hotel to Hampton University. 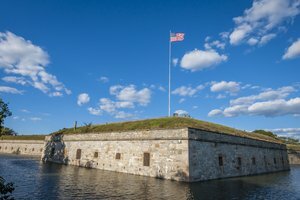 One of the top attractions in Hampton near our hotel, this national monument is the largest fort ever built in the United States. Step back in time to learn about the history at the Casement Museum and walk along the moat walls. A beautiful and underrated gem, the Fort Monroe National Monument is not to be missed. Easily walk into downtown from our hotel to visit a variety of local restaurants and breweries! One of the most relaxing things to do in Hampton is dining al fresco with local flavors. Located next door is Bull Island Brewery, which features craft brews and a beloved local following. 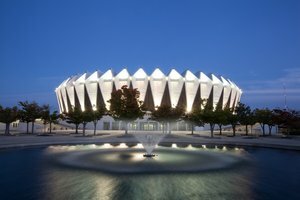 Attend a graduation ceremony, or catch a Phish concert at the Mothership! Read more about this multi-use arena, the Hampton Coliseum. There’s no shortage of playing fields and courts at this multi-use sports facility. Home to Mid Atlantic Power League tournaments and AAU basketball tournaments, our harborside hotel is the perfect place for teams and scouts to stay. 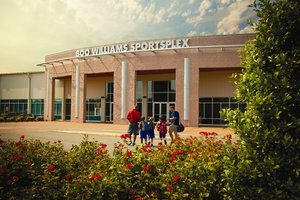 Read more about Boo Williams Sportsplex and book our group room blocks for your team! 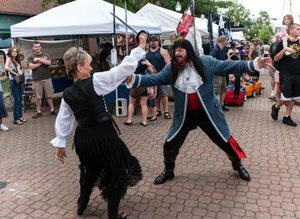 There’s always something happening in Hampton, from the beloved Jazz Festival to the Blackbeard Festival on the water! 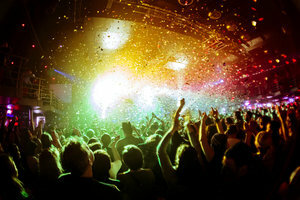 Check out the events calendar to see what’s happening during your visit. 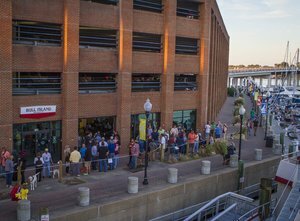 Book your stay today at Hampton Marina Hotel and experience all the things to do in Hampton, Virginia!